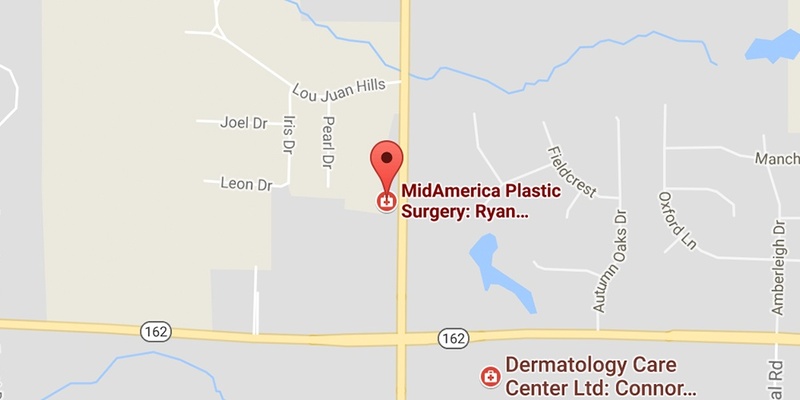 For residents of the area, including Springfield, IL, who often think they have to travel to St. Louis for cosmetic plastic surgery, Dr. Diederich provides the experience and technical skills of “big city” plastic surgeons in the comfortable and relaxed environment of Glen Carbon, IL. Dr. Diederich earned his medical degree from Southern Illinois University School of Medicine, and then completed an intense 6-year residency in Plastic & Reconstructive Surgery in Springfield, Illinois. This training covered all areas of reconstructive and cosmetic plastic surgery. In Addition to being certified by the American Board of Plastic Surgery, Dr. Diederich is active in several professional associations. He’s a member of The American Society of Plastic Surgeons, The American Association for Hand Surgery, the Illinois State Medical Society, holds two committee positions for the American Society of Aesthetic Plastic Surgery, and is president of the Madison County Medical Society. He is also the Chairman for the Department of Surgery at Anderson Hospital, which is a great honor.